The Invokana drug has sparked issue among the FDA and users of the drug. The controversial ingredients in Invokana have lead to an increase in amputation and health risks, including many lawsuits. If you took Invokana and are suffering adverse side effects, you may be entitled to compensation. Call us for a free consultation at 855-551-1019. Invokana (canagliflozin) is a drug used to treat patients with Type II diabetes. It reduces blood glucose by increasing the amount of glucose lost in the urine. As a result, the normal response of glucose reabsorption in the bloodstream is blocked after being filtered through the kidneys. Many individuals may ask the question, “why does Invokana cause amputations?” Two large FDA clinical trials (CANVAS and CANVAS-R) concluded that the Invokana drug was the mechanism behind an increased risk of leg and foot amputations. The original purpose of the Invokana amputation study was to assess the long-term effects of Invokana on the heart. What the Invokana amputation study found, however, was that the risk of leg and foot amputations was twice as likely to occur on individuals taking the drug compared to those taking a placebo. As a result of the Invokana amputation study, the FDA issued a “black box warning” against the drug. The black box warning is considered the most severe type of safety warning that can be issued by the FDA. The black box warning was issued May 16, 2017 and requires that the risk of amputation be printed at the top of prescribing information. With Invokana and Invokamet both containing the ingredient canagliflozin, both medications must adhere to the black box warning. Nevertheless, with the ingredient (canagliflozin) found in Invokana leading to an increased risk of amputation, the question “why does Invokana cause amputations?” has yet to be completely answered. For now, researchers know that the risk of amputation for patients in the clinical trial were equal to: 5.9 out of every 1,000 patients given canagliflozin. Patients were studied for over one year with some patients experiencing more than one amputation. In such events, the mechanism of injury could be traced back to the ingredients found in Invokana, with the amputation of the toe and middle of the foot being the most common amputations after taking Invokana over time. With the recent controversy of the Invokana drug, many individuals affected have filed an Invokana amputation lawsuit. In fact, many patients across the U.S. have recently pursued Invokana amputation lawsuits. Johnson & Johnson, the manufacturer of Invokana has been hit with many Invokana amputation lawsuits. However, this isn’t Johnson & Johnson’s first experience with class action lawsuits. Other class action lawsuits they’ve faced involve issues with transvaginal mesh and talcum powder. With Johnson & Johnson being in the middle of multiple Invokana amputation lawsuits, the manufacturers of Farxiga and Jardiance have also been targeted. To avoid a class action lawsuit of their own, Boehringer and AstraZeneca have stressed that their Farxiga drug does not produce the same amputation risks as Johnson & Johnson’s Invokana. Studies have shown that both Jardiance and Farxiga do not produce the same heightened risks of amputation found in Invokana, coming as positive news for the makers of Jardiance and Farxiga. As with the Farxiga and Jardiance situation, Johnson & Johnson also hoped to reach a positive outcome amongst their class action lawsuits because of Invokana’s positive effects on the cardiovascular system. With Farxiga, Jardiance, and Invokana all including sodium–glucose cotransporter 2 (SGLT2) inhibitors, the mechanism of such drugs have been shown to reduce cardiac problems in people with Type II diabetes. In fact, the overall mechanism of the drug had positive effects on factors such as blood glucose, blood pressure, and kidney protection. As of late, no Invokana lawsuit settlements have been made yet and the trials are still progressing. Though there is no hard evidence to answer if Invokana directly causes amputation, research has shown notable linkage to a heightened risk of amputations. 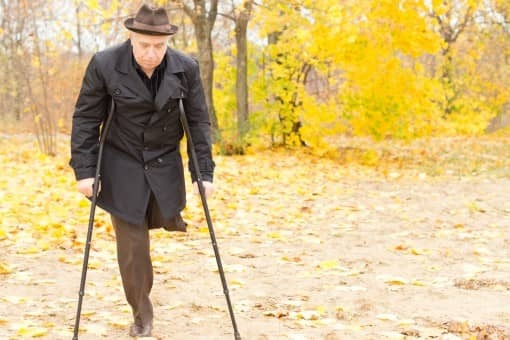 Patients who have undergone amputation of the toe, foot, or leg as a result of Invokana, can and are encouraged to file Invokana amputation lawsuits to receive proper compensation. If you’re an individual seeking an Invokana lawsuit settlement, you can have your case settled out of court and get compensated for any medical expenses related to amputations caused by Invokana. You can also utilize an Invokana lawsuit settlement to cover lost wages from missing work, or for pain and suffering.